The largest group of shareholders of local broadcaster MBC elected Ahn Gwang-han, a close associate of its former chief Kim Jae-chul, as the new president of the country’s second-largest TV station, the channel said Sunday. In a vote held Friday, Ahn beat two competitors ― Washington bureau chief Lee Jin-suk and Incheon branch vice chief Choi Myeong-gil ― by a majority, it said. Ahn currently leads MBC’s cable unit MBC Plus Media. The Foundation of Broadcast Culture controls the channel with a 70 percent stake. Its nine directors are appointed by the state-run Korea Communications Commission. Ahn, 54, will start his three-year term Monday, with an inauguration ceremony scheduled Tuesday. 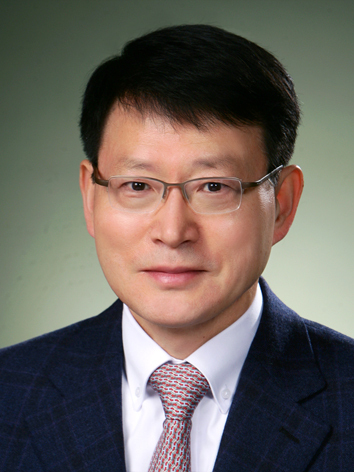 A graduate of Korea University, the new chief started his career at the TV channel as a producer in 1982. He held core posts such as television director and vice president under former president Kim, whose controversial leadership and alleged political bias in favor of then-President Lee Myung-bak and his government sparked a six-month-long strike at the network in 2012. Kim, who led MBC for three years until being dismissed in May 2013, is now preparing to run for mayor of Sacheon, South Gyeongsang Province, in the June local elections. The new president is just as divisive as Kim, having orchestrated a massive personnel reshuffle in a reprisal against program directors, reporters and announcers who participated in the strike, MBC’s labor union said. It pledged to stage a silent protest on Monday morning against Ahn’s appointment.